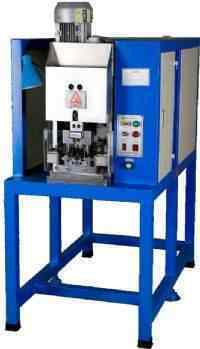 ﻿ WPM-2500 Round wire plug inserts machine - XIAMEN JINGWEI TECHNOLOGY CO.,LTD. 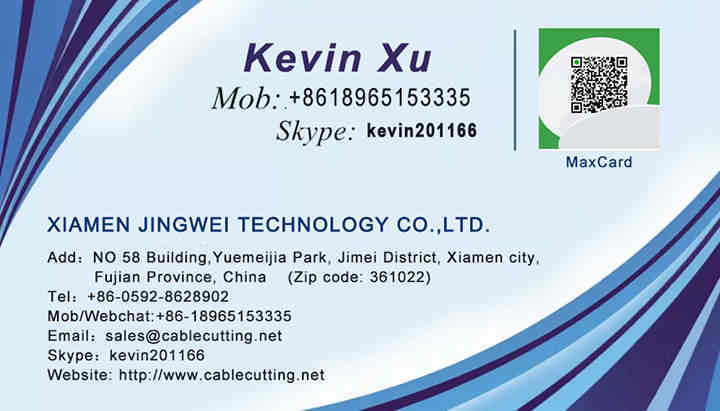 H05VV-F two-core round cable, H05RR-Ftwo-core round cable, H05RN-Ftwo-core round cable. 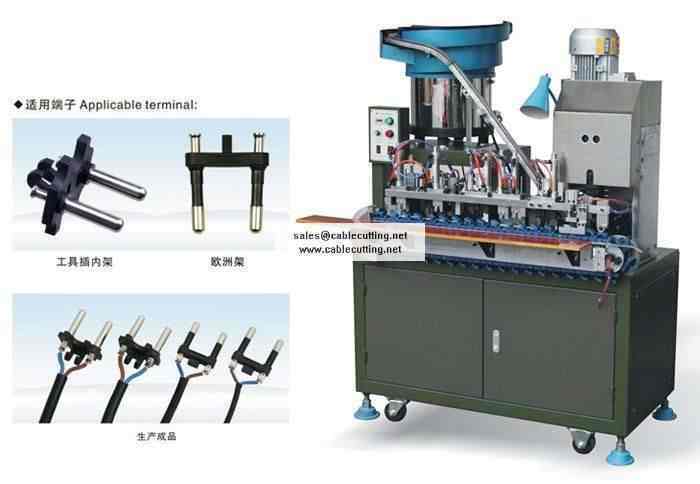 Description: Three functions of stripping of exterior and interior wires and punching in one, completed once for all. 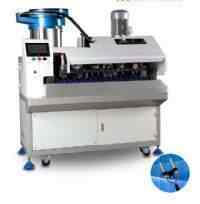 Equipped with automatic material feed system, accidents from punching can be prevented. 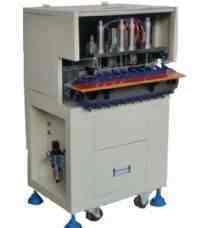 It improves output and it is being safe and environmentally friendly.